MexConnect.com Forums: Specific Focus: Technical Mexico: Experience with Chromecast? What are the pros and cons using in Mexico? Re: [TessSC] Experience with Chromecast? I am curious about this as well. And how it might be affected by using a VPN? Having said that, probably the cheapest route to obtain streaming video content to your TV or PC. But whether you're in Mexico, the U.S. or Canada (just as examples), your biggest issues will be hardware compatibility (router, etc. )., network related. I've seen some posts discussing using a VPN but, as I've indicated -- I don't live in Mexico. Re: [Lilmsmaggie] Experience with Chromecast? Avoid Google as much as possible. Re: [roni_smith] Experience with Chromecast? Ok - lets qualify that statement. Is it Google Chrome or Google Chromecast we're supposed to avoid? Google makes some very useful software apps and services. I'm not too crazy about their Chromebook but it was designed to take advantage of their OS and Google Chrome. As far as web browser go, Google Chrome is my browser of choice. I avoid Microsoft's Internet Explorer like the plague. If I weren't using Chrome, I'd probably go with Firefox on a windows machine, or Safari on the Mac/Windows. We came back from a recent trip to the US with a chromecast AND a roku stick. The roku stick setup was a snap and we use it almost daily. I've put an hour or two into trying to setup the chromecast device and it still is not working. I have two routers in the house - one with a VPN setup. I've tried with BOTH routers. No luck. Now in the living room I use my Windows Vista laptop. Chromecast doesn't really like Vista and prefers Windows 7. In the office there is a Windows 7 desktop. I couldn't get that to work either but it may be a little too far from the TV. The thing I will try next is to attempt setup from my android based phone. I'm pretty tech competent. They don't make it easy. btw : I was interested in chromecast because I was hoping (by hook or by crook) to get access to ESPNU this fall so I could watch some college football. Re: [lhpdiver] Experience with Chromecast? Not sure I need yet another device and - perhaps it is the 10 years I spent at IBM - but I've never been an Apple fan. Many here along the shores of Lake Chapala subscribe to US DirecTV using a US address and oversized sat dish, they get most of the HD channels they are subscribed to except the local stations which are on Spot Beams carrying their home town stations. Shaw Direct also comes in well with all of the local stations from most cities in Canada and three cities from the US. Seattle, Spokane and Detroit. I stream audio and only need a VPN when the station is say a Seattle network radio station that is licensed only to be streamed to a US IP number. Me? Being from Seattle, which is MSFT country, I use IE 11. What I am now studying now is what is the best VPN with IP numbers in different parts of the US or Canada, that I can choose, rather than just the country. Because sometimes I want to be near Seattle. Other times near Vancouver BC. not just somewhere in the US or Canada. Re: [johanson] Experience with Chromecast? To get back to the OP's intent, Streamed TV over the internet: We are happy with ROKU - with a Mexican "Nano" service with good live NYC channels and 1,000's of movies and pre-recorded TV. Slingbox of our daughter's US DirecTV fills in for the channels not on Nano. Modest monthly costs on both services (as we pay about $25 a month total for the combination). My wife really likes movies (4-5 a week), so that makes the $$ worth it for us. **My sister was getting DirecTV with local SF channels - way up outside Sacramento - with the SF channels on CONUS beams 3 years ago - which means it should be down here too? Re: [YucaLandia] Experience with Chromecast? Thank you for correcting me YucaLandia. You are correct and I neglected to point out that there are several cities in the US that are on Conus or wide beams that can be picked up here in central Mexico. (The same with DISH USA) Being a snowbird, who is now down south three quarters of the time and because I subscribe to DirecTV up North in Seattle, I have chosen my US town Seattle, which is on a spot or narrow beam which is no viewable down south. In Mexico, I have Telecable, but were I to want DirecTV USA, I would use a single 2.4 meter offset dish with three LNBs each focused at a different satellite (The three satellites are very close to each other. Update to YucaLandia's post. Per the charts, put out by www.lyngsat.com LYNGSAT says that only LA and NY have some, but not all of their stations on Conus beams. There is no mention of SF. Maybe they have a wide spot beam for SF, I don't know. Therefore if I read the charts right should you have an address that gives you either NY or LA channels and should you take a very large satellite dish with you, you would be able to watch the ABC, CBS, NBC and Fox stations that you would normally receive in your area up north. Those of us who only have an address near say Seattle, Spokane Chicago, or any other major US city can not watch our local channels nor can we watch those channels from NY or LA because they are not normally available to watch in those small cities I mentioned above. 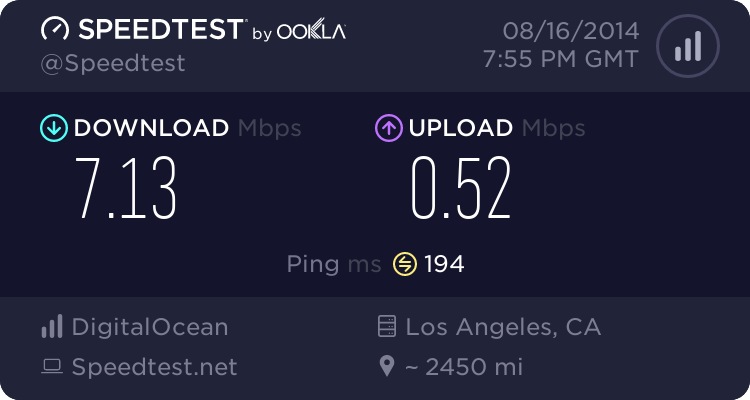 I VPN I was using to make folks think I was in LA was TunnelBear. When it comes to streaming, I have much to learn. 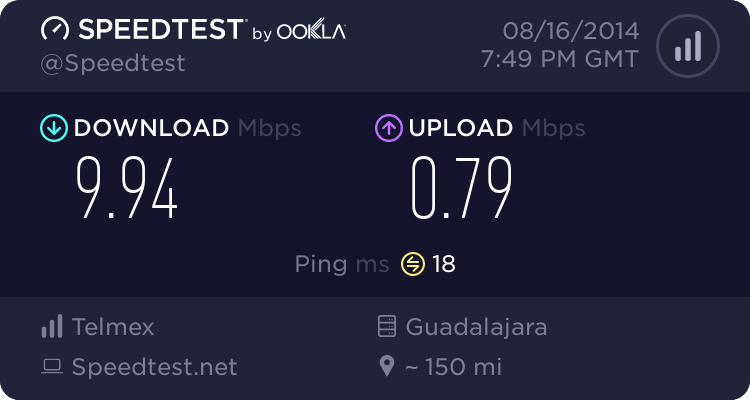 Oh, Those of you in large cities here in Mexico usually have much faster internet connections than we have here lakeside. That's because we in the sack-of-tomatoes area don't have any good local channels. They're coming from the Bay Area (SF, San Jose) or somewhere else like Chicago. Networking is not my forte. I'm a computer programmer by profession but now I supervise a team of programmers. As I mentioned in my original post, most issues you will encounter will be network and hardware compatibility issues (as icanttakeyou has described). For the OP, it sounds like they might want to check out a Roku and research available VPN services such as Tunnelbear, Hidemyass, Private Internet Access, etc. So what is the verdict on the Chromecast stick? I'm on vacation until December 30, then I'm officially retired. One of my retirement gifts from coworkers was, you guessed it -- a Chromecast stick. I haven't opened it yet then I remembered this thread. I thought about sending it to my niece in Puerto Vallarta but it sounds like one could spend a lot of wasted time trying to get it to work. Maybe I should trade it in on a Roku? I took one down in September to test on our last Mexico trip. Between flat screens being few and far between at hotels and a schedule that required having too much fun - I never got around to taking the time to see if it would work. Installed one last week and it is working fine. Cast audio and video from my android phone and my Linux laptop. I should say my Chrome browser with the Chrome Cast extension. Currently using it with videos on the laptop and a limited use with the smartphone with YouTube. I'm hoping to look into streaming later this month. I'm not in that big a hurry.